Getting insufficient sleep is becoming a major health concern in the Philippines. Today, Filipinos are having trouble sleeping due to poor lifestyle habits. Lack of sleep is quite alarming, as it can greatly affect the performance of an individual and lead to chronic diseases. It leaves the individual out of focused that can resort to road accidents and occupational errors. It also increases the probability of an individual to develop depression or other chronic diseases such as obesity, hypertension, and diabetes. It is said that sleep is an essential part of our well-being and that it allows our bodies to recover from daily activities and more importantly, it leaves our minds refreshed to gather and process information. It also affects our emotional stability and decision making. A recent study shows that the Philippines has been ranked as one of the countries in Southeast Asia with poor sleeping habits. More than half of Filipinos sleeping less than six hours a day. There are a number of factors that attribute to this such as unbearable traffic, constant access to the Internet, busy work schedules, and uncomfortable sleeping environments. Cherry Tan, Marketing Director of Uratex Philippines shared that, “There are ways to help battle this problem. It is important to change our current lifestyle to achieve quality sleep." According to the World Association of Sleep Medicine (WASM), there are 10 Commandments of Sleep Hygiene. These are as follows: maintain a fixed sleep schedule; reduce daytime naps in 45 minutes or less; avoid intake of caffeine such as those in coffee, tea, most sodas, including chocolate 6 hours before bedtime; avoid heavy, spicy or sweets 4 hours before bedtime; exercise regularly but not before bedtime; maintain an ideal sleep temperature in a well-ventilated room; block out noise and light as possible; limit use of the bed to sleeping; and finding comfortable bedding. “Promoting good sleep has always been the sole mission of Uratex. Simply put, we help improve sleep routines by adapting to a healthier lifestyle, a positive mindset towards life, and choosing the correct mattress that can support our body’s shape and contours,” explains Tan. For more than 48 years, Uratex has been recognized as the country’s industry leader in manufacturing foams and mattresses. It offers different technologies that cater to a person’s sleeping needs. As summer is fast approaching, there is a need to maintain an ideal sleep temperature that can reduce tossing and turning during the night. It's latest collection include the Uratex Airlite Foam Mattresses which combines 3D spacer fabric and open cell technology to allow air to flow freely in the mattress, for a cool sleep. 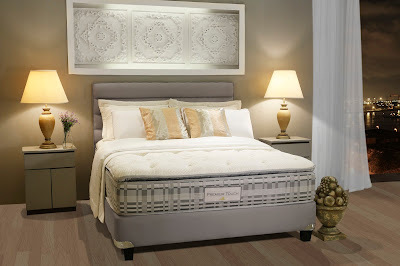 For a more luxurious comfort feel, Uratex Premium Mattress presents the Senso Memory Ultima Mattress. Formulated with Hydragel technology, its premium memory foam is infused with gel beads which absorb heat and provide optimal airflow. It has been proven to lower body temperature by up to 2oC than those of a traditional memory foam, helping you to fall asleep faster. As an added feature, Sanitized treatment is applied to safeguard against growth of bacteria, odour, mildew, and dust mites. Aside from its wide range of products, Uratex has collaborated with different organizations in its pursuit for better sleep. Recently, the Philippine Society of Sleep Medicine (PSSM) partnered with Uratex in celebrating the World Sleep Day. 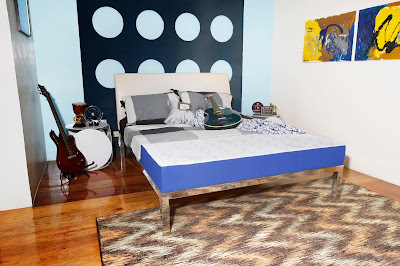 To know more about more about the Sleep Specialist, you may contact the Uratex Consumer Hotline (Domestic Toll Fee), 1800 10 888-6800 or visit www.uratex.com.ph.